I would like to share with you my graduation speech from our very first gradation and MamaBaby Haiti. I hope that you can feel it the way I felt it as you read along. Hello to everyone and welcome to our first MamaBaby Haiti graduation. We are so happy that you could all join us today. We are here to celebrate the accomplishments of the amazing women whom have attended our midwifery program. We know that they will do great things in the world. For those of you that don’t understand the importance of midwifery in the world I want to help explain. Midwives help women to have safe pregnancies and births. Midwives help babies to enter the world safely. Midwives compassionately care for women in pregnancy and birth and they save lives. Midwives are continually working around the globe to reduce maternal, neonatal and infant mortality and continue to strive to achieve The United Nations Millennium Development Goals. 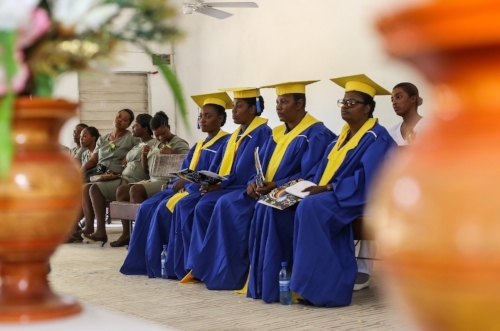 At MamaBaby Haiti we chose these woman to train as skilled birth attendants, as midwives. Midwives who will provide high quality safe pregnancy and birth care to the women and babies of Haiti. They are important in Haiti and in the World. These students have learned the importance of MotherBaby maternity care throughout their training. They have learned to treat every woman with respect and dignity. In a world where women are not always loved and cherished this is of incredible importance as women are the heart beat of the world. They possess and routinely apply midwifery knowledge and skills that optimize the normal physiology of birth and breastfeeding and understand this to be natural, beautiful and life saving. They provide support and comfort during labor and birth making women feel safe, listened to and cared for. They provide evidence-based practices proven to be beneficial to the health and wellbeing of women and their babies. They avoid potentially harmful procedures and practices and know that the excessive use of interventions can be harmful. They implement measures that enhance wellness and prevent illness and emergencies. They provide access to evidence-based skilled emergency treatment and know when and how to provide these services, thus saving lives. They provide a continuum of collaborative care with all relevant health care providers. They strive to achieve Successful Breastfeeding and encourage women exclusively breastfeed their babies as this also saves lives. 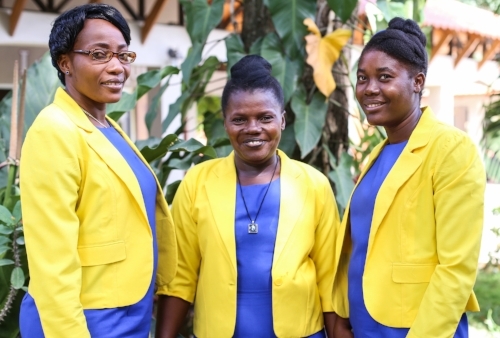 We are so proud of these women for their love and care for people especially for their love and gentle care of the women and children of Haiti. We are proud of these Midwives. We know they are important and will do great things. I would like to honor our midwives and the gratulates today and let them know that you are the great Heroine’s of the World. Thank you for all that you are and all that you do to make the World a better place. I would also like to thank the instructors in our midwifery program. In midwifery we have a saying, Each One Teach One. Some of us will teach many more. I want you all to know that for every midwife you train you are planting a seed to grow and flourish in the world. Thank you to all of you for sharing your knowledge with these women. Please protect this mom and baby through the labor and birth. Let this birth be without complications. Lord, let my hands be your hands. In your name all things are good. 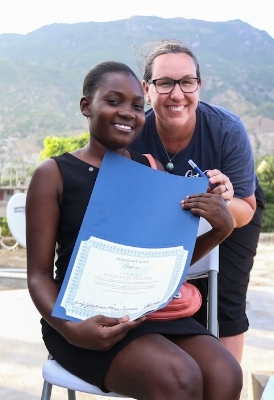 I would also like to give a special thank you to dōTERRA Healing Hands Foundation for supporting our work in Haiti.